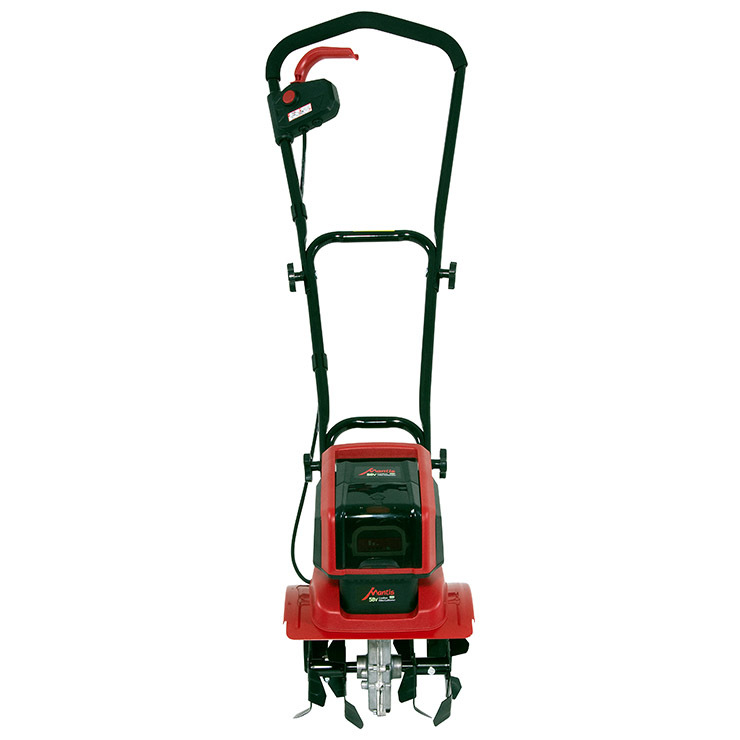 The powerful Mantis 58V Cordless Tiller/Cultivator features 2-speed operation and instant starting. 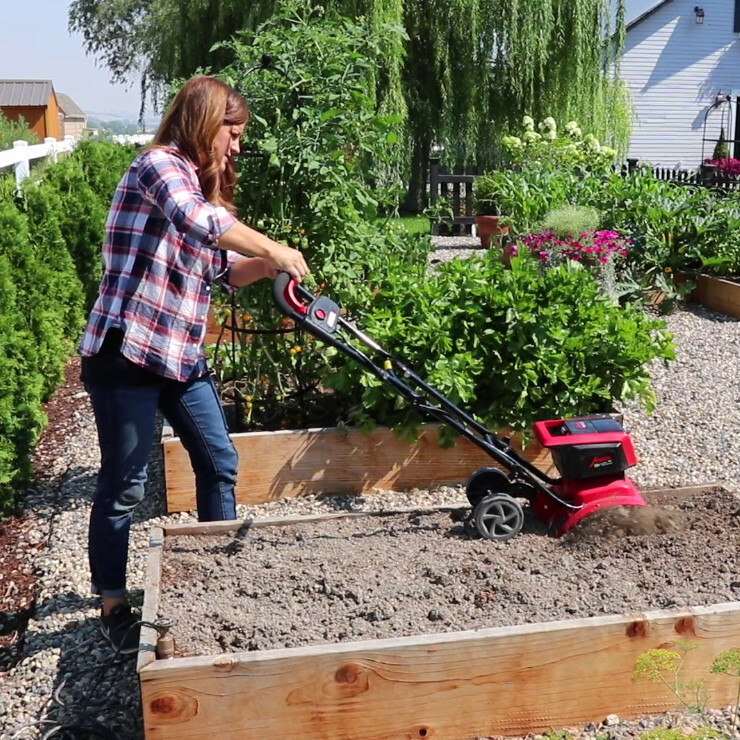 Packs the power to till up existing garden beds or break ground for new ones. 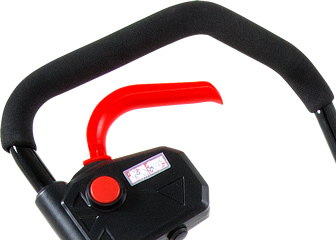 Padded grips. 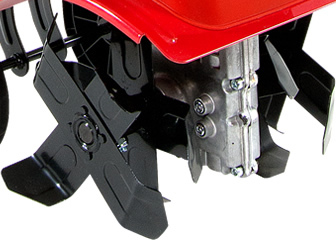 3-position wheels. Weighs just 26 pounds. 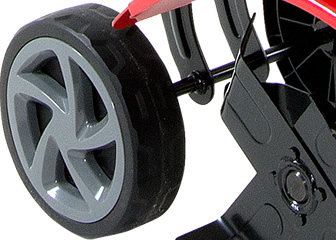 Includes battery and charger, plus 3-position wheels. 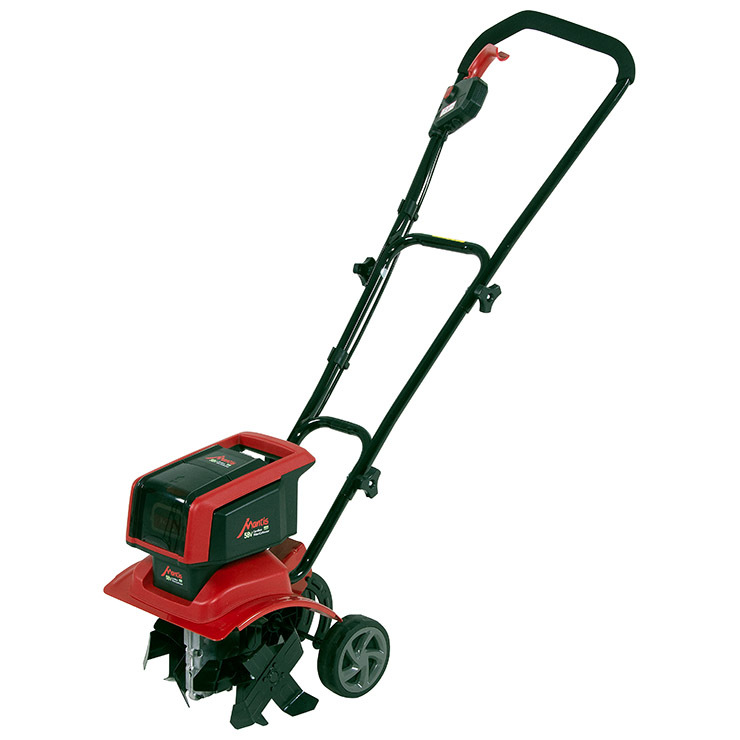 The Mantis 58V Cordless Tiller/Cultivator is the first battery-powered tiller worthy to be called a Mantis. Starts instantly, runs quietly, with all the power you’ll need to dig up existing garden beds or break ground for planting new ones. Runs up to 30 minutes on a full charge. Weighs only 26 pounds. Easy to lift into raised beds. 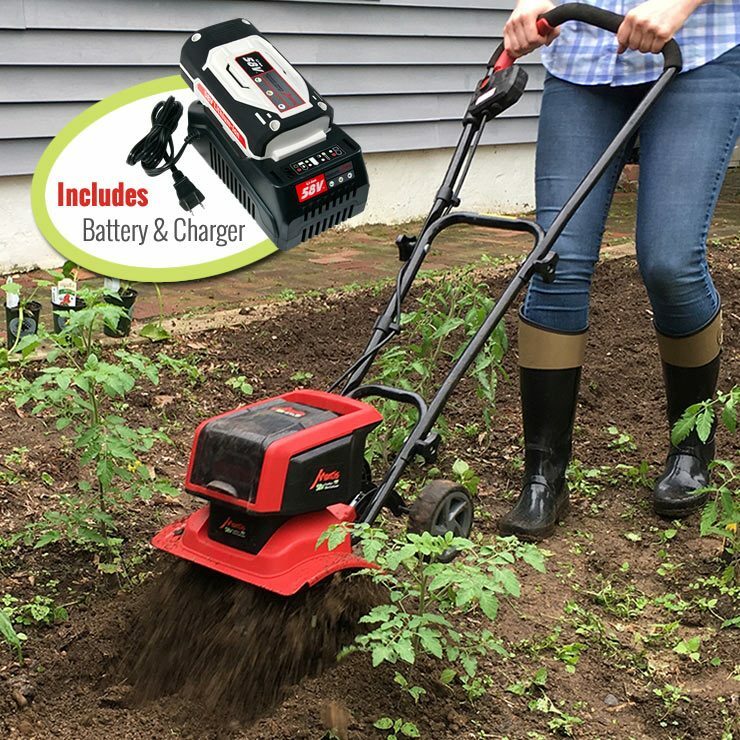 Same 58V battery powers other Mantis cordless garden and yard care tools. 2 speeds. 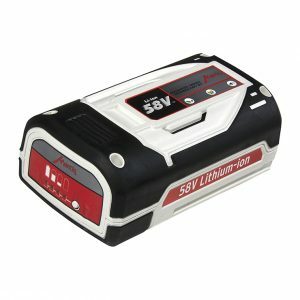 58V lithium ion battery. 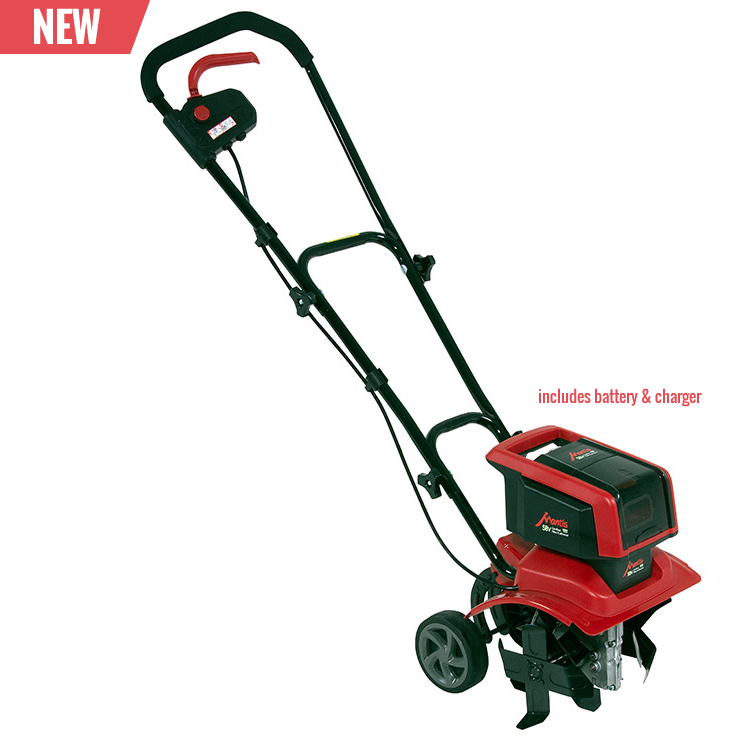 Separates this battery powered mini-tiller from the competition. 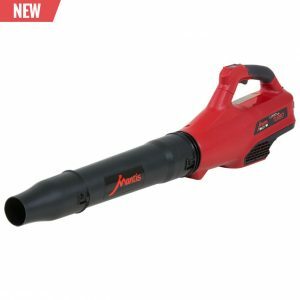 Multiple Tools – One Battery! 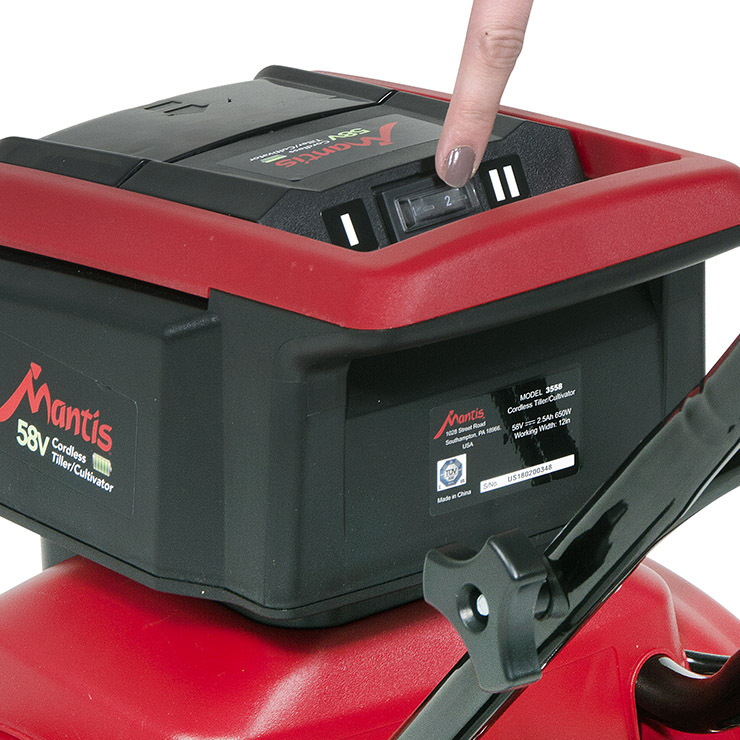 The same 58V battery platform powers the Mantis family of cordless garden and yard care tools. 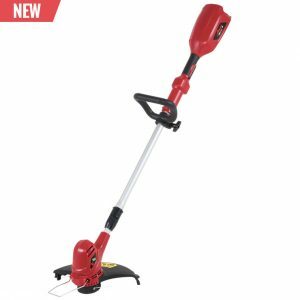 Our 58V Blower and String Trimmer (sold separately) will help you get more jobs done with gas-like power. 30-Day Money-Back Guarantee: Try it for 30 days, risk-free.